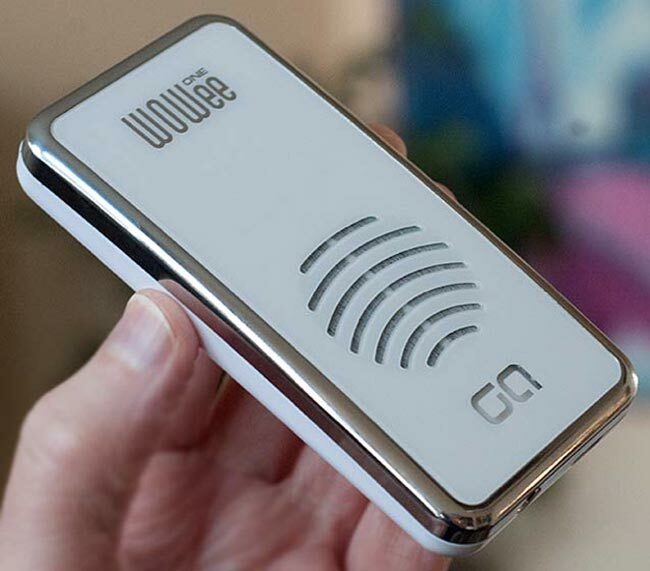 If you are looking for a small pocket speaker to connect to your smartphone, the new Wowee One pocket speaker might be worth a look. The small Wowee speaker has been designed to be used on a flat surface to help enhance its sounds. With different surfaces helping to create slightly different end results, woods tend to create a warmer sounds where as glass radiates the sound over a larger area. The Wowee One uses a hybrid technology of a standard speaker to deliver the mid to high frequencies, and a special Gel Audio driver that delivers the low end bass frequencies. The Wowee is powered by an internal rechargeable battery and can deliver up to 20 hours of use from a single charge and can be recharged via a USB port when flat. The new Wowee portable speaker is available to purchase for $90.